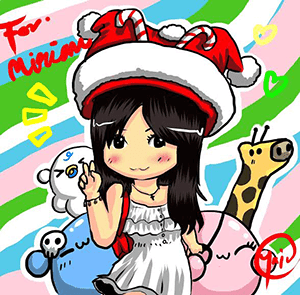 Hi darling merry goers! Yes, you're right. 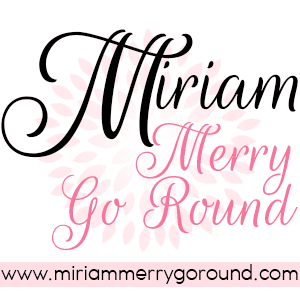 It's another #MiriamEats. 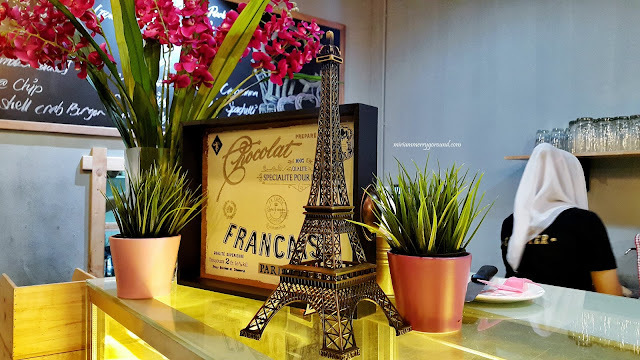 Gosh I just realized how much eating I have been doing recently but this post is a mixture of a food post as well as a travel post because this time instead of a cafe in Kuala Lumpur, here's a cafe in Kota Bahru, Kelantan! Yup you read it right. Kota Bahru, Kelantan is the next place where I had my cafe hopping experience. 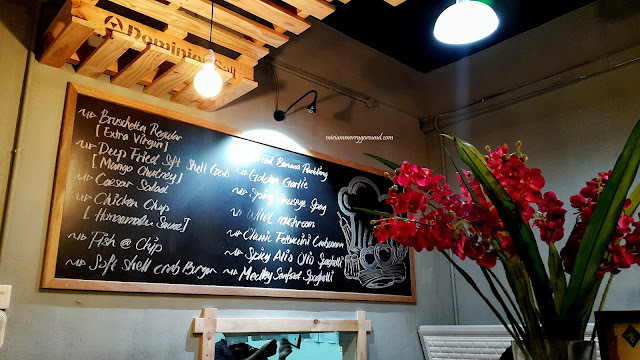 I know there are many people who have not actually stepped into Kelantan before and many would have the perception that there aren't many hip places to hang out in Kota Bahru but here's where I'm going to prove you wrong. 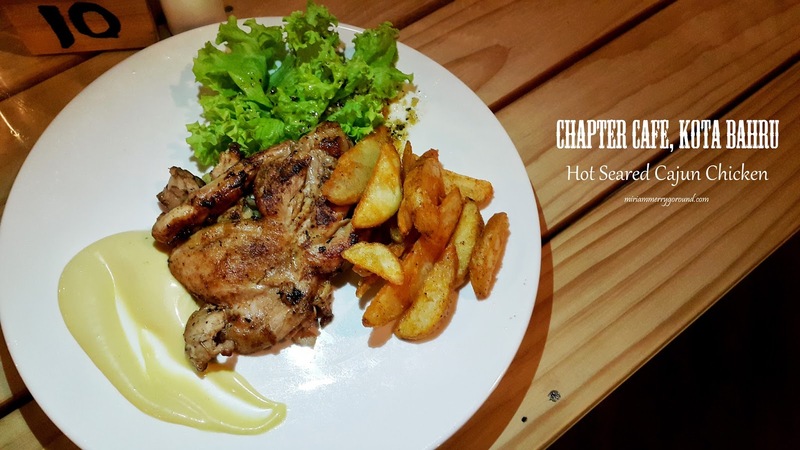 Listed as one of the top cafes to check out in Kota Bahru, Chapter Cafe is the first cafe I visited after being in Kelantan for the past few months. Being in Kelantan hasn't been a lot of fun compared to the big bustling city of Kuala Lumpur but when I heard that there are several cafe popping out in KB I knew I had to check them out and check if they were at par with those in KL. Firstly, the interior of Chapter Cafe sure meets up to the expectation I had of a hip cafe. 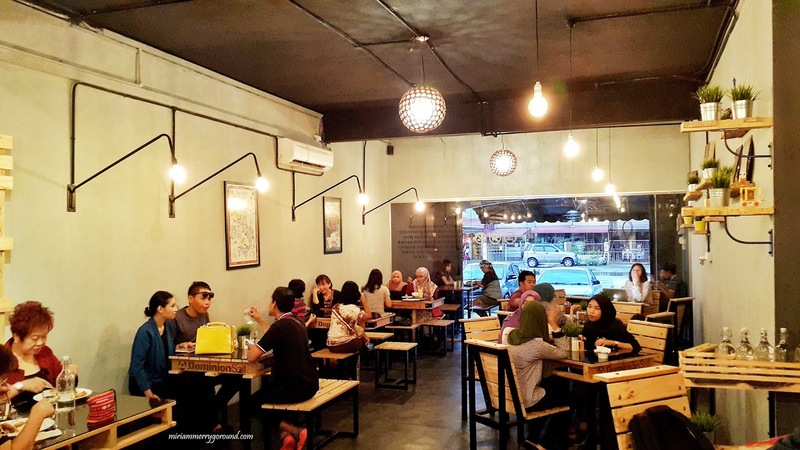 Located at the corner of some shoplots, it is just down the road from the Tengku Anis park. I'll leave the address of the cafe at the end of this post. 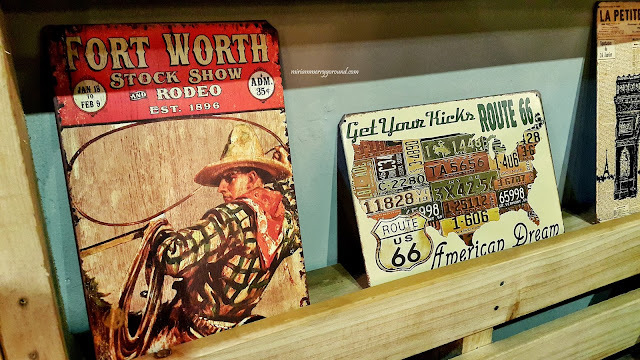 Warmly lit and decorated with wooden decor items, I like the setup of the cafe giving a cozy and warm ambiance. 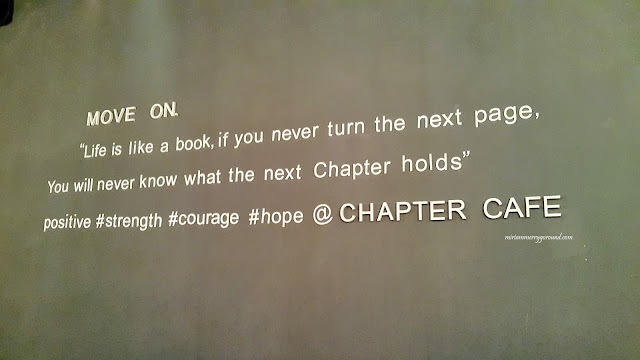 Although I did not get the connection of the cafe name and the interior, there was a nice quote on the wall with some meaningful phrases. Like any cafe, there are a few cakes on display in the cake rack which looks really tempting and deserves another visit back to try. 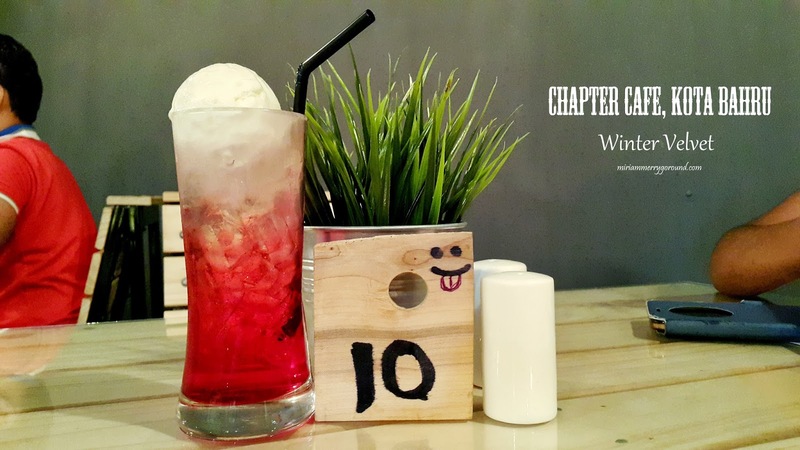 So here's how the service works in Chapter Cafe. You grab a seat, go up to the counter to order your meal and then wait to be served. I actually came here for dinner with a good friend after her class and since we were both not locals, well we though why not let's just try some cafe! So first up, we ordered some drinks. I know I should order their coffee to have a taste of their coffee beans but somehow I don't know why I was drawn to ordering their milkshakes which was supposed to be one of the best. I ordered the Chocolate Banana Milkshake (RM8.90) while Shekinah ordered the Winter Velvet (RM7.90) which both were recommended on the menu. For those who know me well, I am very particular and picky about chocolates and bananas and frankly I have not liked these two combinations together so it was really a risk for me ordering this drink. 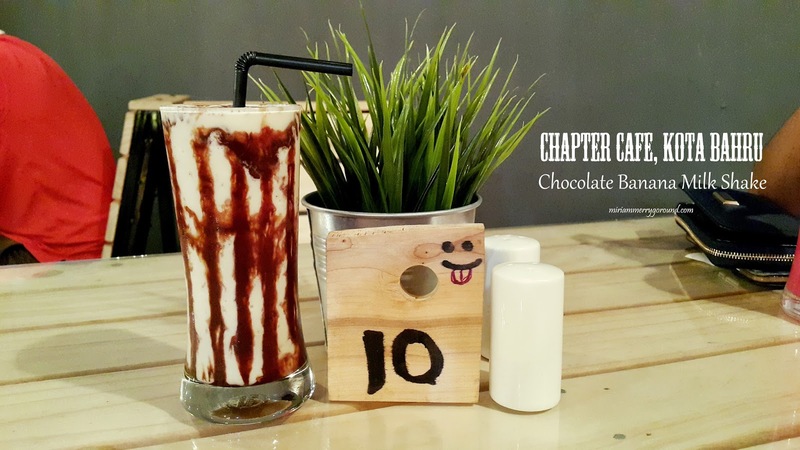 However, surprisingly I rather liked the Chocolate Banana Milkshake at Chapter Cafe. 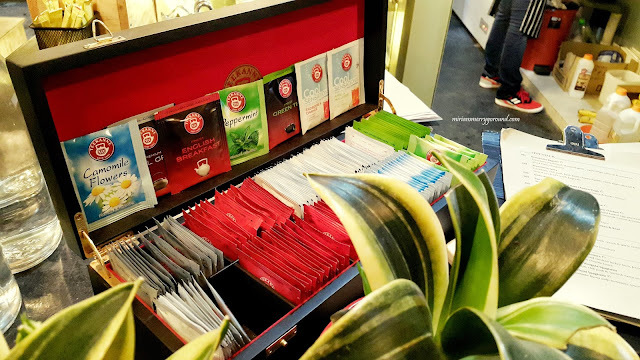 It wasn't sickeningly sweet like some places I tried before but there was this unique taste to it that kept me sipping at it trying to figure out what was that particular taste. 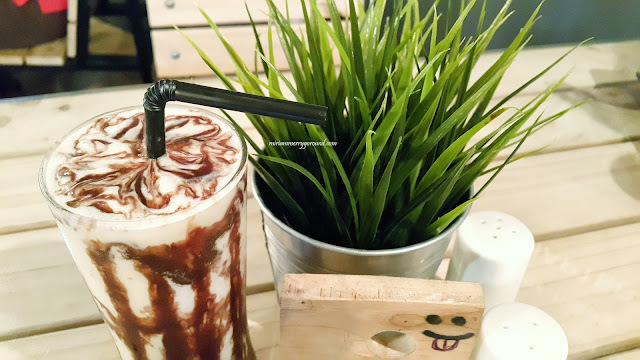 The milkshake was smooth and creamy nicely revolving around banana and chocolate. Meanwhile the Winter Velvet was actually sparkling soda with a scoop of vanilla ice cream on the top mounting to the name Winter Velvet I guess? While I preferred my milkshake, my partner in crime sure enjoyed her drink. Next up it was time for some food to fill our tummy. Shekinah ordered one of the recommended dishes which is the Hot Seared Cajun Chicken(RM14,90) and it was sure a big piece of chicken that was served. On the whole, it was rather worth it for the price of the dish but I do prefer more vegetables in my salad instead of just a few pieces of salad leaves. Served with some potato wedges, this dish was quite a complete meal although Shekinah did mention the chicken was a bit dry and I felt the potato wedges were just a tad too crispy. I preferred fluffier wedges or even maybe changing it to mashed potatoes with some gravy because this dish sure is rather dry. Downside of the dish would be that they used frozen potato wedges instead of making it on their own. Moving on to my dish which was the Soft Shell Crab Burger(RM17.90) which I saw had several recommendations online. I am sensitive to shellfish of all sorts and can only stomach certain seafood, where soft shell crabs are on the list. Unfortunately, I was pretty disappointed with my dish. It was practically a soft shell crab deepfried in batter and sandwiched between two burger buns, drizzled with some mayo sauce and served with a few lettuce leaves and super overfried curly fries which were in small bits and pieces. However, on a positive note the soft shell crab was really very fresh and juicy and I did enjoy it as my dinner although I left the burger buns behind. 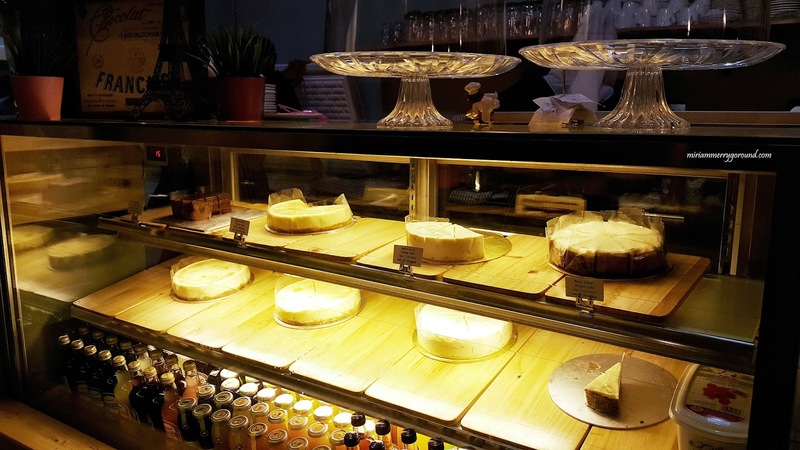 Overall, I do think that Chapter Cafe does serve some pretty decent food and their dessert selection looks really nice that I would go back just to try their dessert. Service was ok although our food took ages to arrive so they really need to improve their serving time. 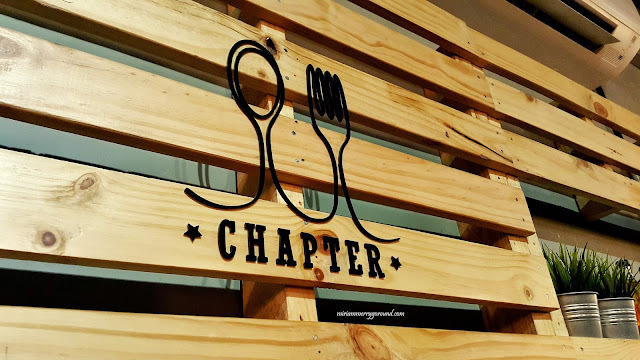 If any of you were in town and am looking for a nice place to chill and hang out, here's where you can find Chapter Cafe. 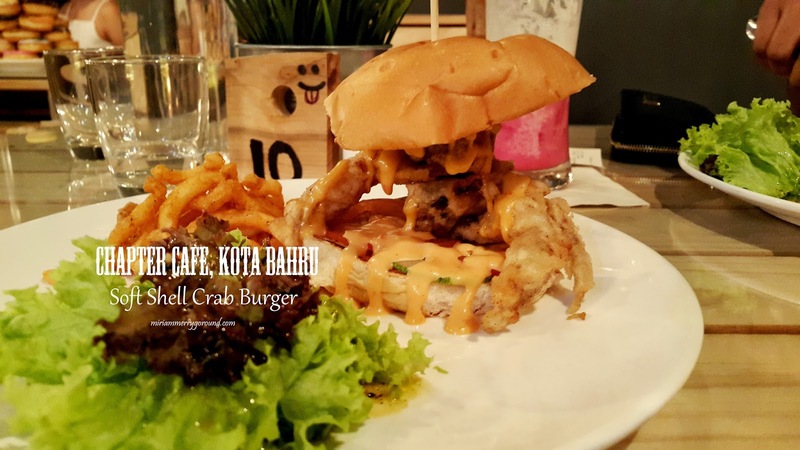 The soft shell crab burger looks delicious. Must try one day. 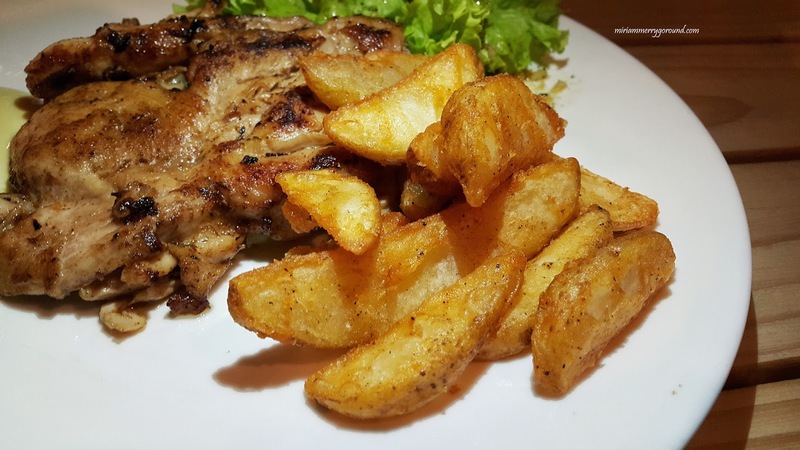 your food photo make me feel super hungry now!!! DANG IT KELANTAN! Why must they have so much nice shops just when i left 10 years ago. Looks good! You have to take me there one day! looks like cafe in KB is not bad too :D the best part is, the price is much more affordable eh! Ohh.. I love a cafe with a good tea selection as I do not drink coffee and its hard for me to enjoy cafes which specialises in coffee. 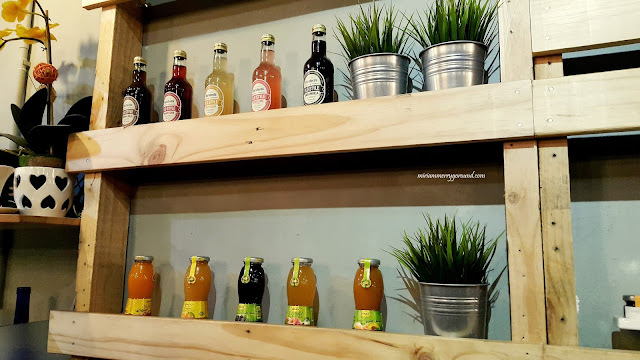 Wow, Kota Bahru also have cool cafe, awesome. Hope that there will be more. The Soft Shell Crab Burger is so tempting. 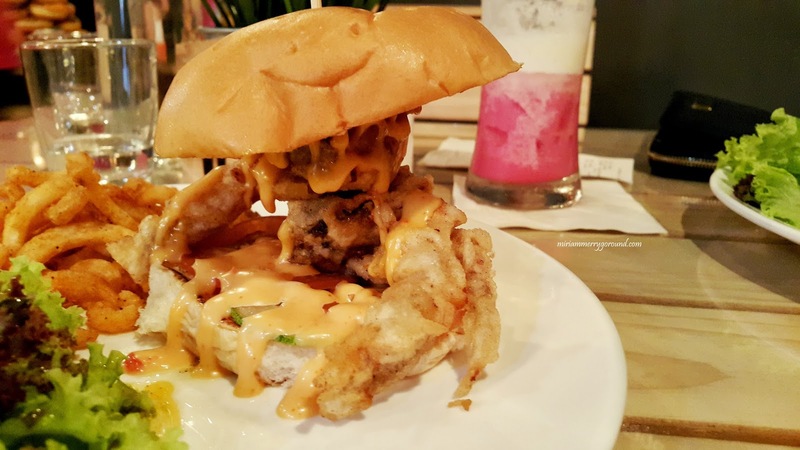 soft crab burger looks so nice!!! 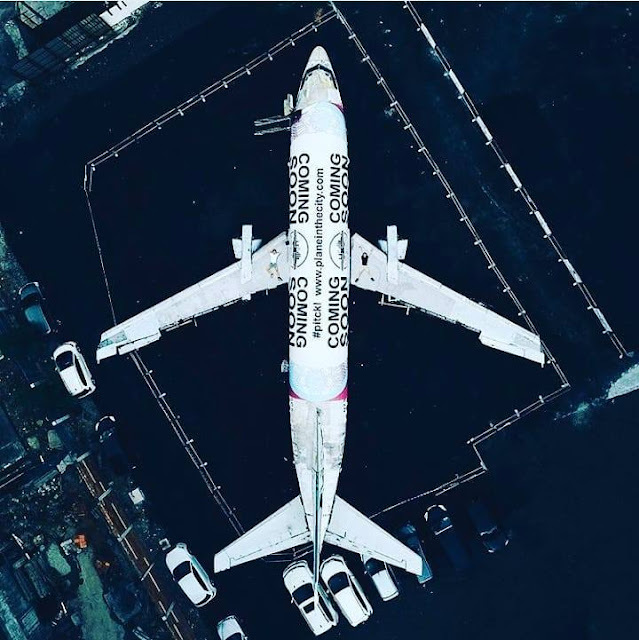 i think it's one of its kind. shall recommend this to my KB friends. really nice cafe to hang out and eat at Chapter Cafe.But is at Kota Bahru and too far for me. Will going there if I travel to Kota Bahru. 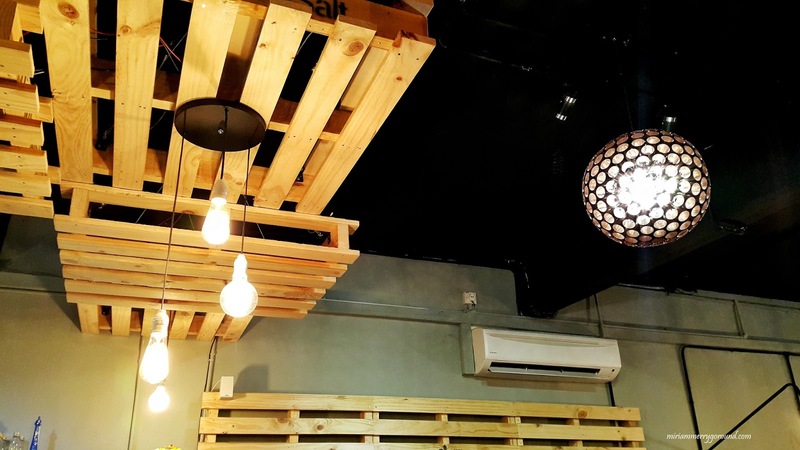 I'm surprised there are hipster cafes in Kota Bahru, just like how they are mushrooming in Ipoh. I am still waiting for my first trip to Kelantan. Chocolate Banana Milkshake is my favourite ler. When I go to JB, I'll try this out. I don't think I've ever told you but my mum is from Kota Bahru. Some of the best food I've ever had! So pretty ah this cafe deco. And gosh, the food and drinks are so affordable! 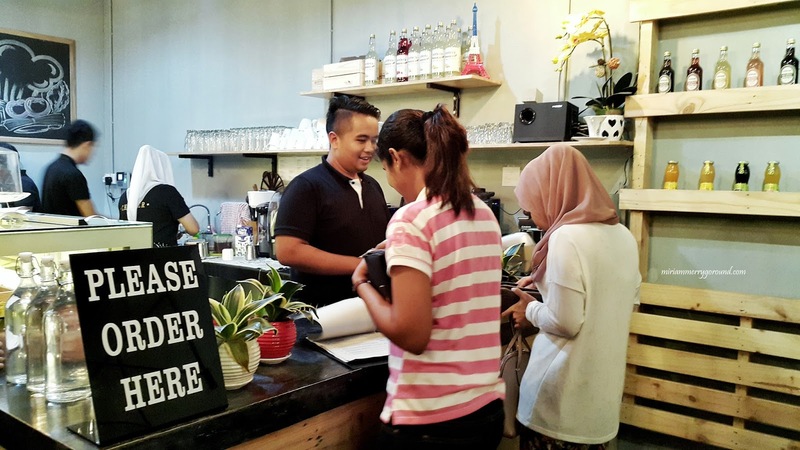 they even have hipster cafes now in Kota Bahru! very nice :D.. must be a popular spot there. Wow soft shell crab burger? That's new!